This update comes through me from God, Source, Creator, Spirit, All That Is, by whatever name you personally give to bring clarity, understanding and resolution in your life. Many of you are experiencing internal and external upheaval in your life. For those who are, this update is for you and anyone who needs this. Just at the point when the fabric of your existence, your reality seems to be crumbling before your eyes, many have been feeling deep grief, sadness, a sense of personal failure, and nervousness as what was once in place in what you called your life, is shifting, and you may have felt inner panic. Why does the structure of your life and your reality crumble? Many of you ask this question. The answer is simple. What you see as upheaval in front of your eyes is actually uprooting that which is keeping you from living the true life you are here to live. The ways of old that felt so comfortable must be transformed in order for you to move forward in the manner in which your deepest heart and soul desires to. This means that what you have been afraid to face, it is now directly in front of you, unable to be ignored, so you can finally transform your fears, overcome your false perceptions of self, and honor who you are, now. For the growth that you came into this life to make to be experienced within, all that is hindering your deepest growth now must come up to the surface. Although this may feel unpleasant, I am offering you a different perspective now. It is actually a gift. Yes, the personality does not like to feel out of control. The ego desires to validate self from external circumstances. Your soul, on the other hand, validates itself for being, and experiencing alone. There is not a chance of your failing in this lifetime. How can you fail at growth? Your circumstances may be going through a remodeling so to speak, even if it is one that you are resisting with all of your ego’s might. The fight and resistance is what is causing the emotional pain. If you knew to remind yourself that in order for the remodeling of your life to take place, the life you truly desire in your deepest heart, then the old structures will have to be removed. I shall give you an analogy of a kitchen. If you have broken appliances, leaks, rotted wood, and shredding electrical wiring, is this what you truly desire? No, of course it is not. So in order for you to have the “kitchen of your dreams” the old must be removed so your appliances can be replaced. Leaks can be fully repaired. Rotted wood is pulled out and beautiful new cabinets take their place. The shredded electrical wiring is literally pulled out completely, and your kitchen is given brand new, safe wiring that will last beyond your natural life. Dear Soul, what you may have been focusing on is how the parts of your life are being ripped out, thus panicking, or feeling deeply saddened. What you have not looked at is all that the old is being replaced with. This is what I want you to see. If you feel like a failure, for any reason, please shift your perception to one of being a learner. You are learning, not failing. When you are saying, “No, No” as the old ways are no more, I ask you to say, “Yes, Yes” to the new realizations, self love, higher purpose, your deepest truth and all you have been wanting to experience as your purest essence of Self for eons, this time is finally here. It is one to celebrate. Behind every great transformation in life, there was change from the old. Transformation is the opposite of stagnation. Either you desire brand new cabinets, or out of fear, you ask to hold on to rotted wooden ones. Your soul is drawing these experiences into your life because it is actually paving the way for you to grow, as you go with the flow, into your pure, authentic self. Focus on what you would love to experience when you feel afraid. Ask yourself if the upheaval serves you well, although it feels temporarily uncomfortable. Dare to shine a light onto the path you have always yearned to travel from the inside out, and as you see the light shining on glimmering gems that are new opportunities, experiences, friendships, and inner freedom from emotional suffering and tyranny, you will be glad for the temporary upheaval. You will know that it was the only way all you truly desire could replace what you knew deep inside needed to be transformed. You will very soon feel inner peace if you have been feeling internal chaos. Remind yourself that when the old falls away, including how you are viewing yourself, if your ego feels temporarily bruised, know that this is creating room for greater growth that far exceeds where you are now. Move in the direction that your heart is pulling you towards. You path ahead is a glorious, sublime, exciting and blissful experience, because it is actually the real you that you are now growing into. You are loved eternally. Be Well and Trust. All is in Divine order. 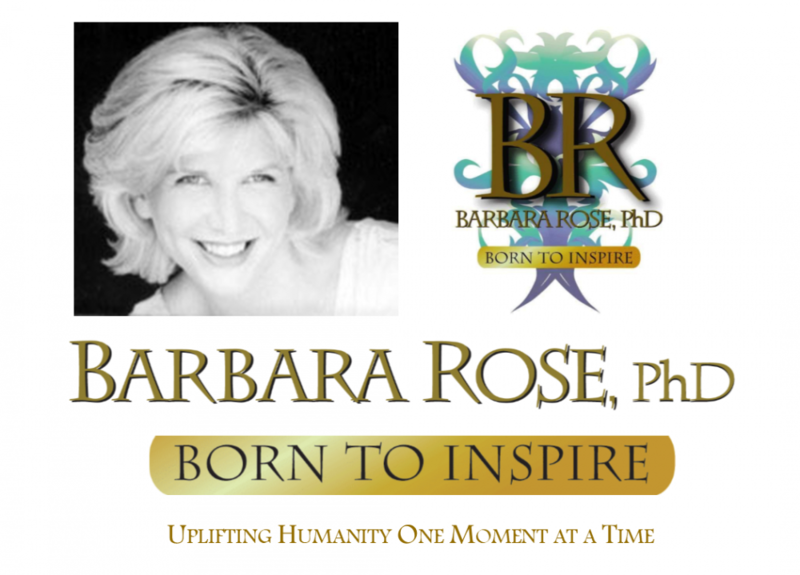 © Copyright 2007, 2014 by Barbara Rose, PhD. Publications are encouraged to reprint this article, permission is not needed, but please notify us via our contact page when you have re-published this message. Thank You for helping to uplift the Spiritual Consciousness of Humanity. This entry was posted in Browse Answers from God and tagged Barbara Rose PhD, BORNTOINSPIRE, creating a new life, Guidance from God, leadership and transformation, Overcoming Adversity, Personal Growth, Relationship Guidance, uplifting humanity, when life by Barbara Rose, PhD |Born To Inspire | Bestselling Author| Life Transformation Expert. Bookmark the permalink. I agree, lthe timing is uncanny and there are SO many changes going on in my life. Initially tremendous fear kicked in making it so difficult for me to see objectively, but over time I have softened to see that it is all for a purpose and instead of fear, the butterflies feel more like excitement. Thank you. I don’t think I read this by accident today – really inspiring message. 🙂 Best to you Barbara! Thank you for your kind feedback. I’m so glad this helped you! Thank you for this posting! It makes a great deal of sense for me right now. Great timing!! Thank YOU for letting me know this made a real difference for you. That means so much to me.